For some time, the term "Open Standard" has been gaining in market popularity. 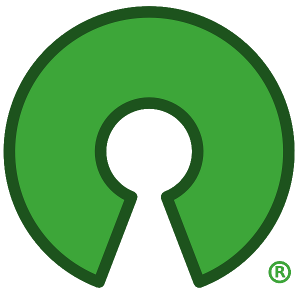 Unlike Open Source, which has had a concrete definition for almost ten years, the term Open Standard was merely a feel-good term with no actual technical meaning. Nevertheless, decades of poor experiences with proprietary standards (or no standards at all) contrasted with the dramatic successes of using IETF and W3C standards such as TCP/IP and HTTP have caused IT buyers to consider standards alongside product price and performance when making IT investment decisions. In this context, the term "Open Standard" has suddenly become the new "Healthy!" or "Lo Calorie" or "No Transfat" label: a claim that is either unverifiable or one that is technically true but irrelevant. Two years ago, the OSI undertook an effort to ensure that whatever the term "Open Standard" meant, it did not mean something that would discriminate against open source. We developed a set of requirements and began promoting those to IT policy-setting organizations. I began searching for independent thinkers who could help frame and discuss this important topic in a way that would help inform (rather than inflame) discussion, and one of the best thinkers (and writers) I found was Andy Updegrove. At about the same time, I was at the Wizards of OS3 conference in Berlin, where I met a woman doing studies for the Danish government on the topic. I encouraged her to approach this problem not as one unique to that government, but as an opportunity to become a world leader on the topic of defining Open Standards for the purposes of government procurement policies. It made sense: governments have a responsibility to the public in how they spend the public's money, and open standards represent a very direct public good. Andrew's continued attention to this topic appear in this blog posting, and it appears that the Danish government has, indeed taken the message to heart. Hopefully other governments will do the same. Which brings me back to Open Source. I certainly believe that open source has a legitimate role to play in the implementation of public-facing systems (not to mention the innovation that is possible when users have access to the source code), but I do not believe in legislating an open source requirement, especially in cases where open source software is not yet ready to replace proprietary systems that have a twenty or thirty year implementation head-start. It's not good public policy to degrade a running system and tell users "don't worry, we'll catch up twenty years in only five", even if it's true. But open standards can, if properly defined, create the possibility of interoperability and true competition between proprietary software and open source software. That is the goal worth striving for. And that is why the open source community has a vital interest in getting the definition of the term Open Standard right, be it in Denmark, the EU, or around the world.